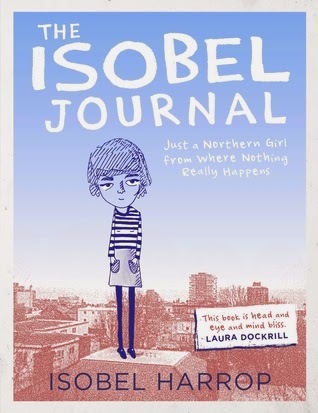 GoodReads: THE ISOBEL JOURNAL is no ordinary snapshot of a contemporary teenage life. A charming and vivid narrative scrapbook of the eighteen-year-old author's sketches, mini-graphic novels, photographs and captions, it captures her wit, her observations and her creative talent as she takes us through the three central themes in her life: 'Love', 'Friends, Art and Otters' and 'Me'. 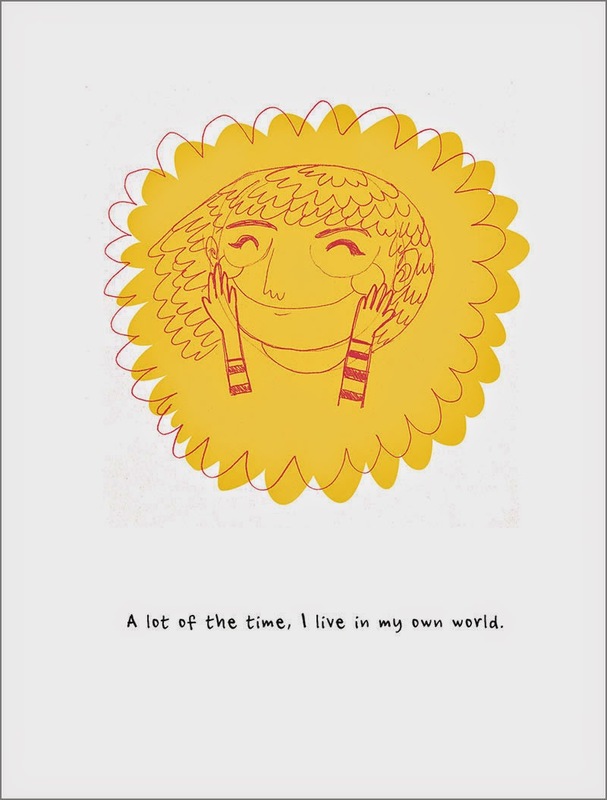 The Isobel Journal is a cute and quirky little graphic novel. It mostly consists of sketches (drawn by Isobel herself) and photos with captions containing random thoughts and musings. It follows 18 year old Isobel's teenage years. 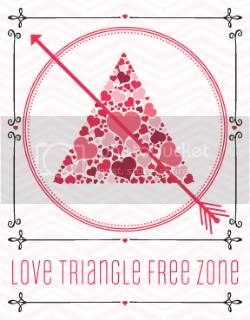 It covers four central themes: random facts about Isobel, friends/art/college/otters, love and breaking up. There were funny moments and relatable moments: a lot of the time I found myself thinking "I like that too!" or "I do that too!" If I had a print copy I would have taken photos of my favourite pages, but since I only have a digital copy I decided to include my favourite captions instead:  The publisher tweeted me saying that a selected few pages are available on their website, so I've inserted them below (click to enlarge). "A lot of the time I live in my own world"
" I love tea... I don't want to be one of those people.... but it is great!" 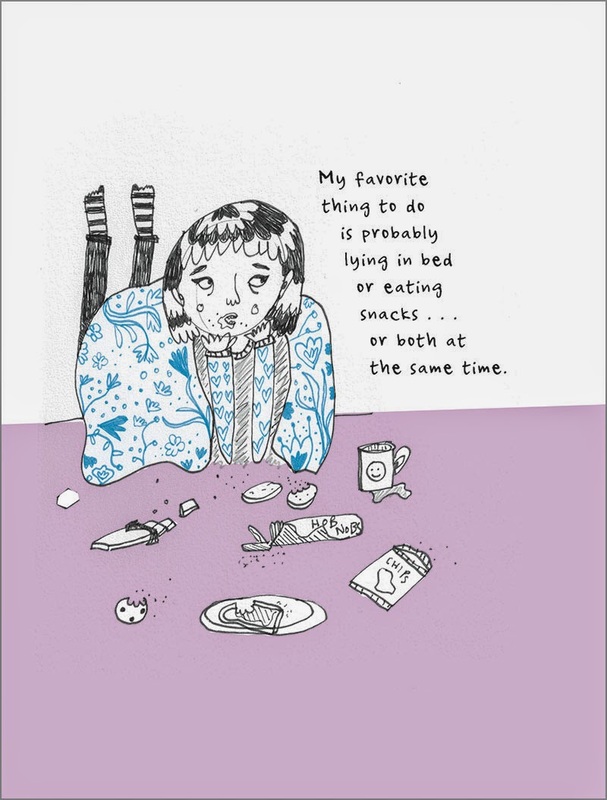 " My favourite thing to do is probably lying in bed or eating snacks...or both at the same time"
"Fresh sheets are so great"
I can so relate to all of these things. Anyway, to conclude: The Isobel Journal made me laugh, smile, and reminisce about my teenage years. I will definitely be buying a print copy of this book! I hadn't heard of this one before but I am definitely adding it to my TBR list and it's on NG? I should request it then... shouldn't I? This does sound like a fun cute little read. I hope to read this one soon, but i have an e-book copy as well. Seems like something great to have in print! I can't wait to have the chance to read this. Ha, I love all the quotes you shared, specifically the tea one! And the one about clean sheets! Loved the quotes. Isobel sounds so quirky and fun. I will have to look this up at my library! I'm digging the artistic style! They're like artsy scribbles. Great find, Renu! I wouldn't have ever have heard of this one if you hadn't posted about it so thanks for the review! Never heard of this but really loving that cover! Oh this book sounds so adorable, I haven't heard of it before but I just love the sound of it! Great review, thanks for sharing with us! I don't read a lot of graphic novels, but this one sounds delightful. The illustrations are adorable too. Glad you enjoyed this enough to purchase it for yourself.